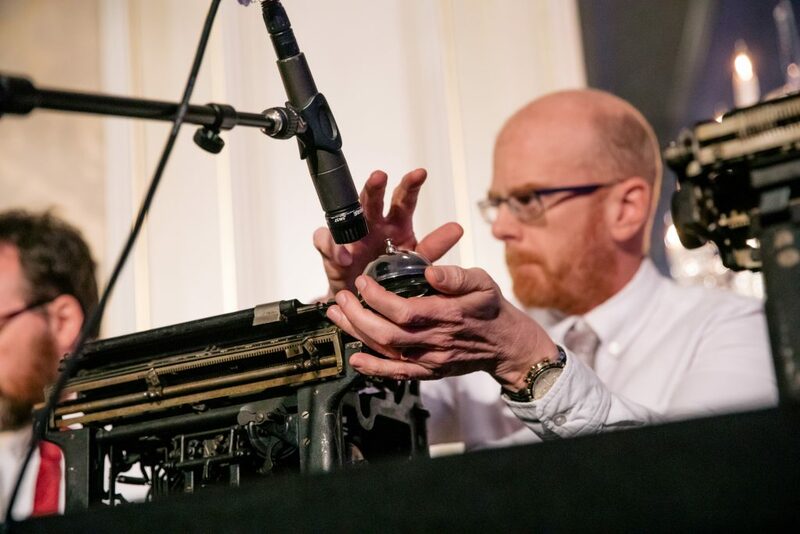 Welcome to Typewriter Tuesday, a new series from the American Writers Museum that aims to shed light on the typewriters and other tools behind some of your favorite works of literature. Check back every Tuesday to learn more about these trusty machines and the writers who used them. 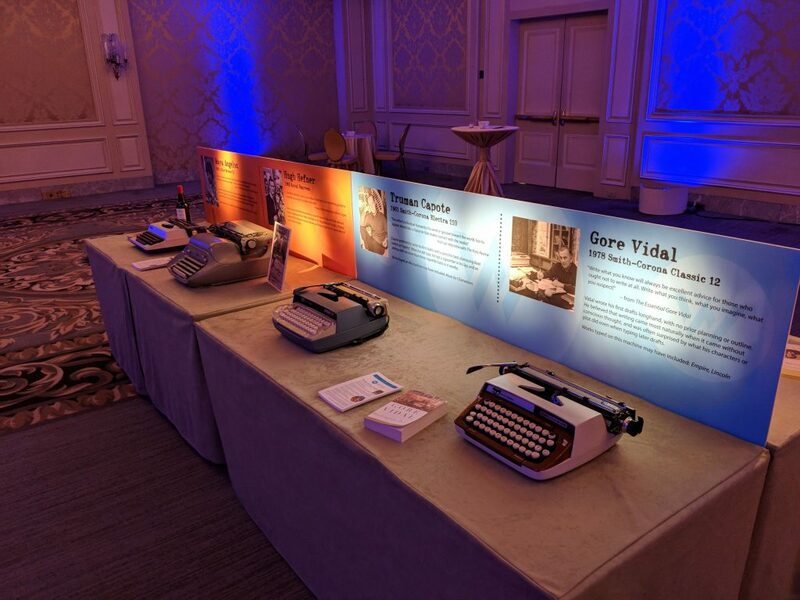 Our next special exhibit Tools of the Trade, opening June 2019, features more than a dozen typewriters on loan from Steve Soboroff’s impressive collection, as well as other writing implements and instruments used by American writers. Today, we’re recapping our pop-up exhibit at our inaugural benefit dinner, OnWord 2019, which took place one week ago on April 9, 2019. Ever wondered why your keyboard is not in alphabetical order? It’s because of typewriters, believe it or not. It’s called QWERTY (the first letters on the top row, left to right) and was designed to slow typists down because with an alphabetical layout the keys were getting stuck. Writers were typing so fast they needed to redesign the keyboard! This is just one of the tidbits guests learned from our Tools of the Trade pop-up exhibit at OnWord 2019, our inaugural benefit dinner. While the QWERTY layout was intended to slow typists down, many of the writers included in Steve Soboroff’s collection became pros. Ray Bradbury even claimed to be able to type 120 words-per-minute on his 1947 Royal KMM! That’s a lot of words. Bradbury’s was one of eight typewriters on display at OnWord. 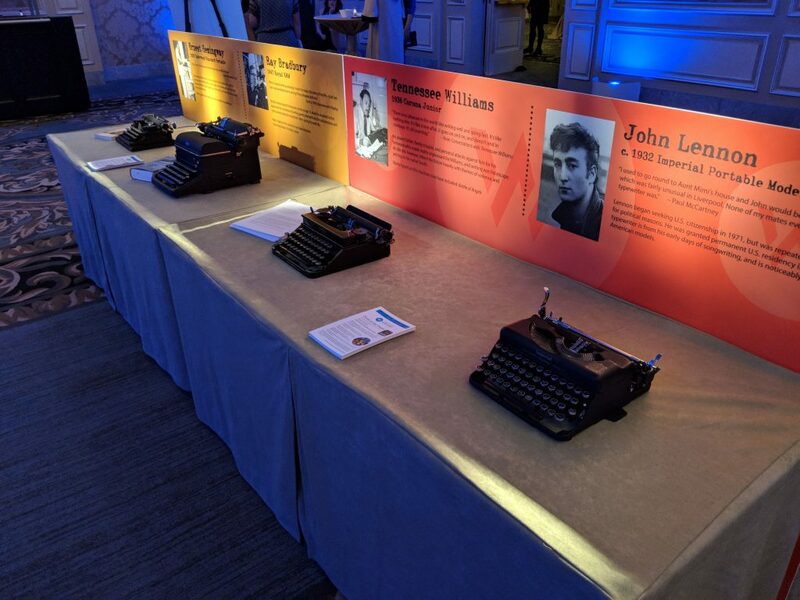 Fan favorites included Ernest Hemingway, Hugh Hefner, and John Lennon (stay tuned for a Typewriter Tuesday blog that explores the decision to include Lennon in the American Writers Museum). 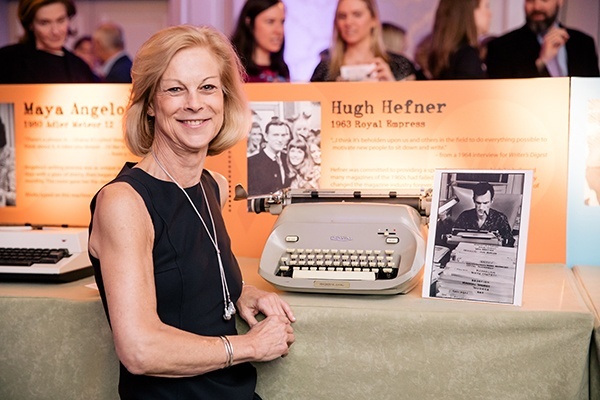 Even Hefner’s daughter, Christie Hefner, attended the event and was excited to take a picture with her father’s typewriter! 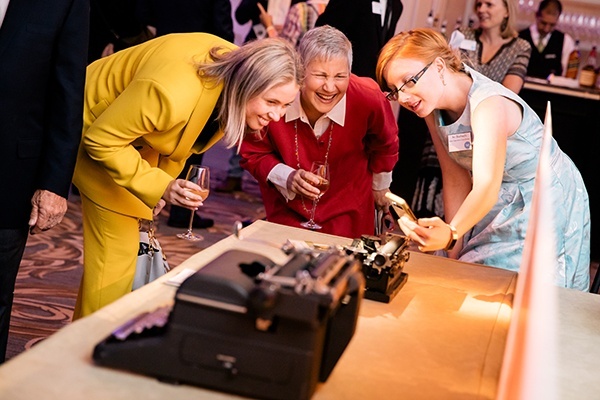 Guests were able to get up-close and personal with the typewriters, marvelling at how small Tennessee Williams’ 1936 Corona Junior really is, the letters visible on the platen of Ernest Hemingway’s 1926 Underwood Standard Portable, and Maya Angelou’s peculiar writing habits (it involves drinking a glass of sherry!). These typewriters were just a sample of those that will be on display when Tools of the Trade opens this June. 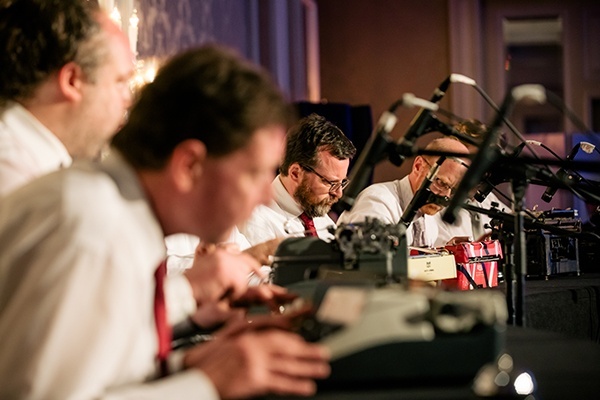 The typewriter theme continued throughout a great evening, with a performance by the Boston Typewriter Orchestra kicking off the celebration. It was truly amazing to see these talented players create music using only their typewriters and bells. Thanks for coming all this way! We were so lucky to be surrounded by so many passionate supporters all evening at OnWord. Our many patrons helped raise over $200,000 in a paddle raise to support our educational programming. Thanks to them, we can bring in authors to meet students, subsidize field trips, and even reimburse bus costs for many schools in the Chicago area and beyond. We can’t wait to show these students the many different machines in the Tools of the Trade exhibit, and hope they will come away inspired. You can help! Tools of the Trade is sponsored in part by the Hugh M. Hefner Foundation. Additional sponsorship opportunities are also available for this exhibit. 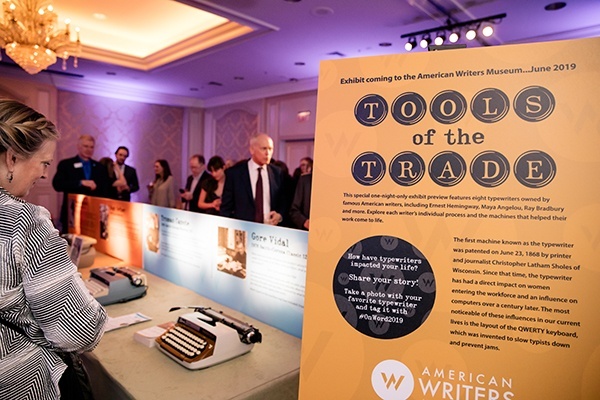 If you would like to support Tools of the Trade, and receive recognition and benefits in association with this exhibit, please contact Linda Dunlavy, Development Director at 312-374-8762 or by email at dunlavy@americanwritersmuseum.org. This entry was posted in Blog, Typewriter Tuesday and tagged OnWord2019, Typewriter Tuesday, Typewriters.